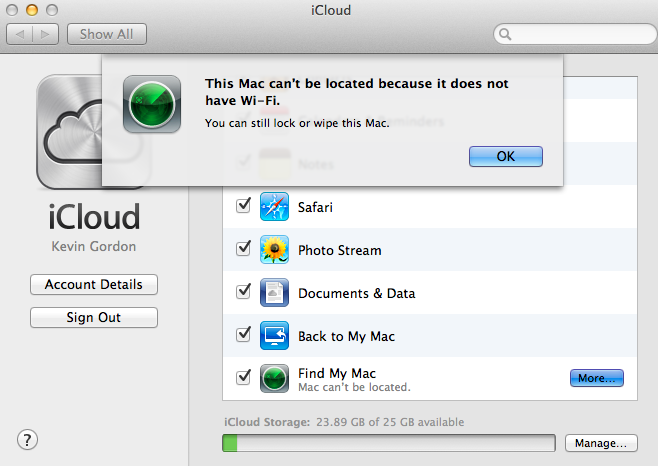 The error was "This Mac can't be located because it does not have Wi-Fi". I found how to resolve this with the advice from here: https://discussions.apple.com/thread/4137458?start=0&tstart=0 Basically go into system preferences and under security & privacy, and then the privacy tab, turn off location services then turn them back on. For me this fixed it and Find My Mac now works.